Waymo grew out of the self-driving car project at Google X, but it’s now a separate company under the Alphabet umbrella. Waymo’s service still isn’t available to everyone, but it’s in semi-open trials in the Phoenix area. Now, those testers can get the Waymo app from the Play Store. Waymo uses an array of sensors and machine learning technology to get its card from point A to point B without a human driver. Last we heard, the Waymo One service has safety drivers in the car, but they don’t touch the wheel unless something goes wrong. The app lets you book rides, see the cost, and make changes to the trip. The Waymo cars also have a touchscreen inside with ride information. You can download the app anywhere, but you can only use it in the Phoenix area. You’ll also have to wait for an invite to use Waymo One. You can sign up in the app or via the website. 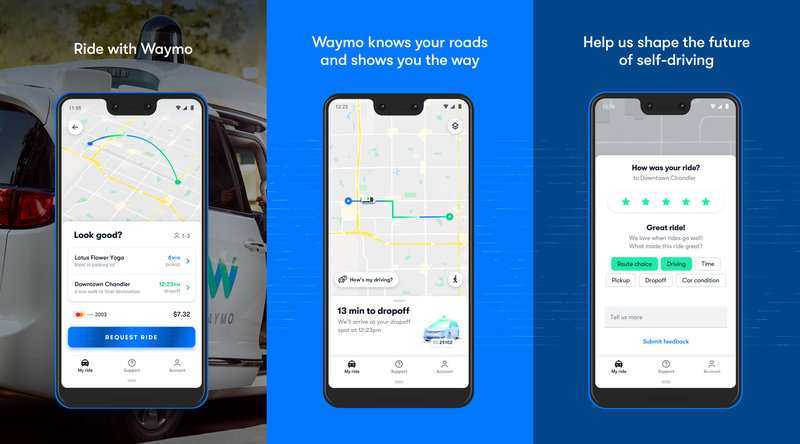 The release of the app in the Play Store (we’ve also got the app on APK Mirror) suggests Waymo might be getting ready to expand availability, but the company isn’t talking.